Vox Magazine – First Issue! 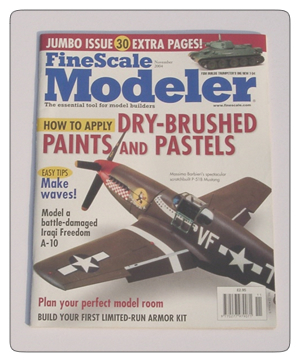 November 2004 issue of the well respected American modelling magazine, Fine Scale Modeller. Each issue has a variety of features, model reviews, built kits, figure painting, military modelling, ship and boat modelling, painting and modelling tips, how-tos and articles about real life subject material. The cover feature of this issue is on how apply dry-brushed paints and pastels. The magazine is in good condition, with very little marking and wear to the corners (see photo). We will ship worldwide..UK postage is £1, Europe is £3, America and Canada £4..all other Countries please email for a quote.